Spinal cord injury refers to any damage done to the spinal cord, and the nerve bundles running from the brain down to the vertebral column (spine). 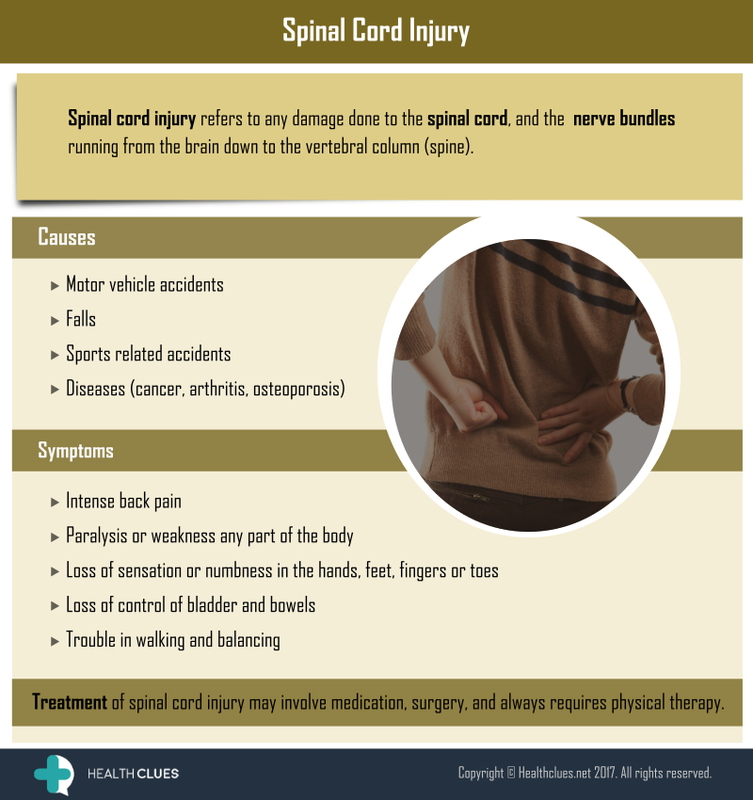 Treatment of spinal cord injury may involve medication, surgery, and always requires physical therapy. Infographics, Spine Surgery back pain, back pain causes, low back pain causes, spinal cord, spinal cord injury, spine, spine surgery. permalink. Thanks for sharing of symptoms and causes of the spinal cord injury.